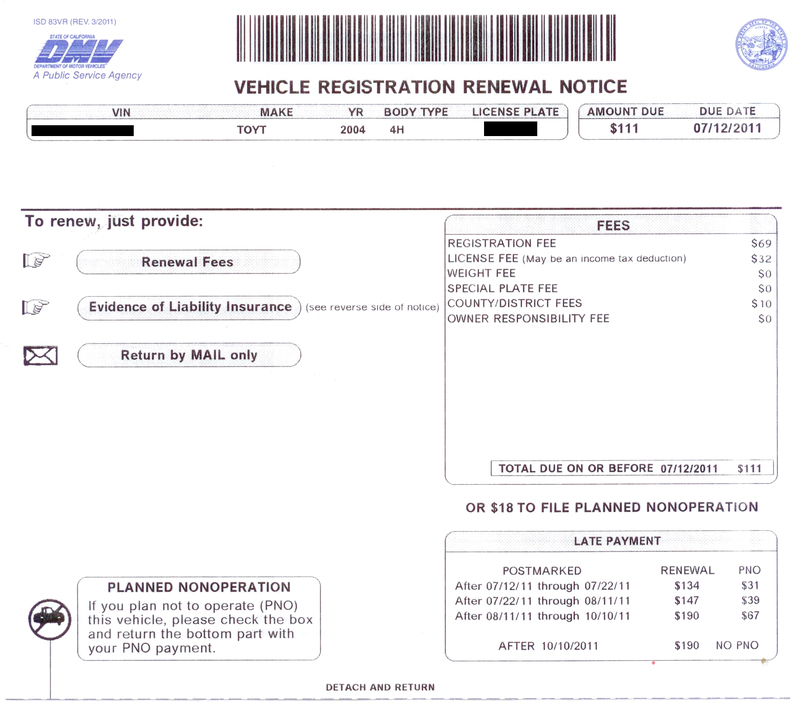 On Saturday, July 9th, I received my annual California vehicle registration notice for $111. I am not sure what other states charge for an annual license and registration fee, but $111 seems a bit high. It is certainly a healthy deterrent against middle-income families owning more than one car in the state. My problem with my registration fee is not the cost (though I still think it is high), but the payment deadline. I received a bill from the state of California on a Saturday that is due this coming Tuesday. Of course, I cannot mail anything on Sunday. In essence, if I had been on vacation for a short four-day weekend, I would surely have missed my deadline and had to pay a penalty. If a credit card company charged someone 2,521% annualized interest for a bill that was three days late, politicians would be up in arms. That is not a typo. I repeat, 2,521% annualized interest. Yet in California, it is par for the course. See my piece at Big Government for more. This entry was posted in Business, California, Crime, Finance and Economics, Media, Policy, Politics, Taxes and tagged California, California DMV, Regulation, Stealth taxes, Usury. Bookmark the permalink. I don’t think it is a bad idea to put prisoners to work. That said, you get what you pay for.